Ebola Czar? We Need a Surgeon General | Democracy Now! The United States now has an Ebola czar. But what about a surgeon general? The gun lobby has successfully shot down his nomination — at least so far. The Ebola epidemic is a global health crisis that demands a concerted, global response. Here in the United States, action has been disjointed, seemingly driven by fear rather than science. One clear reason for this: The nomination of President Barack Obama’s choice to fill the public health position of surgeon general, Dr. Vivek Murthy, is languishing in the U.S. Senate. You would think that an Ebola epidemic would move people to transcend partisan politics. But Vivek Murthy, despite his impressive medical credentials, made one crucial mistake before being nominated: He said that guns are a public health problem. That provoked the National Rifle Association to oppose him, which is all it takes to stop progress in the Senate. Dr. Murthy’s statement on guns came in the form of a tweet: “Tired of politicians playing politics w/ guns, putting lives at risk b/c they’re scared of NRA. Guns are a healthcare issue,” he wrote in October 2012. A year later, the White House announced his appointment to the position of surgeon general, and on Feb. 4, 2014, he testified before the Senate Committee on Health, Education, Labor and Pensions. He received bipartisan support in committee, but his nomination has not yet come up for a vote in the full Senate, ostensibly because Sen. Harry Reid knows the vote would fail. Nominations only need a majority of 51 votes to win approval. Since the Democrats have a 55-to-45 majority in the Senate (at least for now), Murthy’s approval as surgeon general should have been routine. Fear of the NRA’s perceived power, however, prompted several Democrats — those with tight re-election races in 2014 — to indicate they would not vote to support Murthy. Among those expected to vote against him were Mary Landrieu of Louisiana, Mark Pryor of Arkansas, and Mark Begich of Alaska. These incumbent Democrats and others didn’t want to provoke the NRA before the midterm elections. So the U.S. has no surgeon general. What exactly does the surgeon general do? The position dates back to 1798, when Congress established the country’s first publicly financed health service to care for ailing merchant sailors. Now, the surgeon general commands more than 6,500 healthcare workers in the “Commissioned Corps” who are tasked with protecting U.S. public health. An equally important role of the surgeon general is to be “the nation’s doctor,” to use the position for public advocacy, to educate and inspire people to take health care seriously. So, while there is an acting surgeon general, Boris Lushniak, who is keeping the lights on at the organization, he hasn’t assumed the full public role that the position demands. In 1964, then-Surgeon General Luther Terry released a groundbreaking report, “Smoking and Health,” which prompted significant shifts in tobacco policies, like the printing of warning labels on cigarette packs and the banning of tobacco ads on TV and radio. In the 1980s, President Ronald Reagan’s surgeon general, C. Everett Koop, advocated for education and action to combat HIV/AIDS, against the wishes of Reagan, who didn’t even utter the phrase “AIDS” for the first six years of his administration as thousands died of the disease. And what if the surgeon general also stumped for common-sense, data-driven policies to reform our gun laws? The Brady Campaign to Prevent Gun Violence (named after President Reagan’s press secretary, the late James Brady, who was critically wounded during an assassination attempt on Reagan) points out the scale of the problem with guns: On average, 128 Americans are killed or wounded by guns every day. More than 30,000 die from gun violence every year. As far as we know, there are only two people in the United States currently with Ebola. There are 300 million guns. Ebola can be stopped with proper public health procedures and by rapidly deploying a massive influx of public health workers, equipment and other resources to Liberia, Sierra Leone and Guinea. The Senate should immediately vote to approve the nomination of Dr. Murthy as surgeon general. 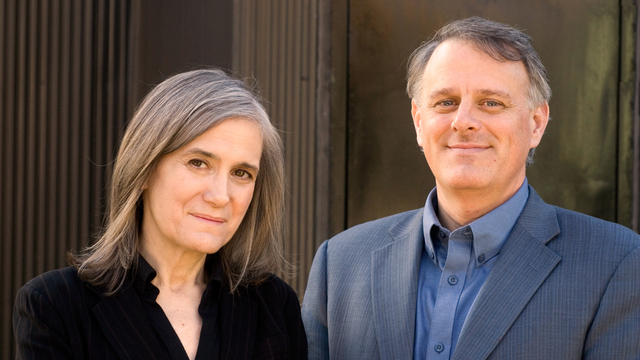 Listen to and share Amy Goodman’s podcast on SoundCloud and Stitcher Radio.